Responsibilities: Administers all Operation Round Up® donations. The Trust Board evaluates all requests for funds and determines how they will be distributed. The Trust Board is comprised of seven members, five of whom represent specific geographical districts and two representing the Cooperative at-large. Time Commitment: The Trust Board meets each quarter for approximately three hours in the evening. They may have 1-3 additional meetings annually. Responsibilities: Determines policy and direction that allows KEC’s management to carry out the day-to-day business and operations of the Cooperative. 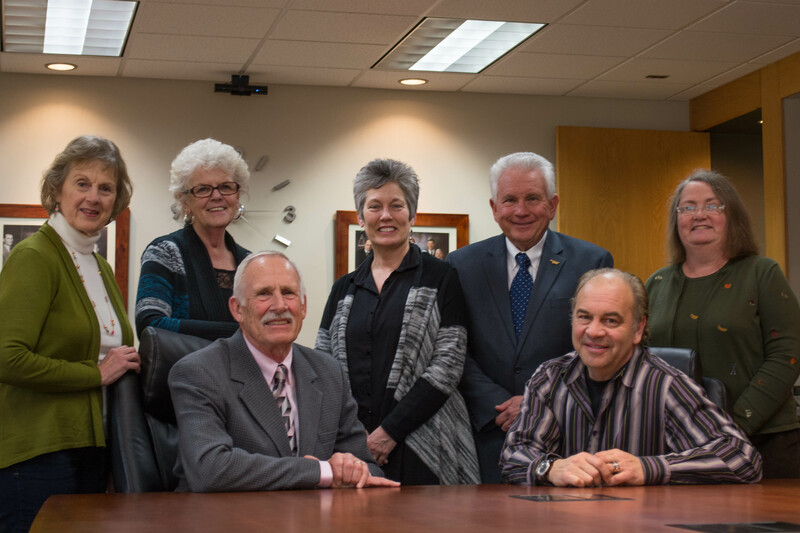 The KEC Board is comprised of seven directors, five of whom represent specific geographical districts and two who represent the Cooperative at-large. Candidates must meet the qualifications outlined in the Cooperative’s bylaws and should also have strong business acumen and a broad understanding of regional and national energy issues. Time Commitment: Approximately 60 days per year on board-related activities including periodically attending conferences and director training. Responsibilities: Responsible for the overall election process at KEC. The Committee oversees voting and vote counting procedures, including those used by any vendor engaged by the Cooperative to administer and/or count mail-in ballots. The Committee is comprised of seven members, five of whom represent specific geographical districts and two who represent the Cooperative at-large. Responsibilities: Responsible for evaluating the qualifications of those members desiring to serve on the Board of Directors. They also verify that interested members are qualified to serve in that capacity and understand the responsibility they would assume if elected. The Committee is comprised of seven members, five of whom represent specific geographical districts and two who represent the Cooperative at-large. Time Commitment: The group meets at least twice a year to interview and nominate candidates prior to the Annual Meeting. The meetings are generally held in the evening and last 2-3 hours.